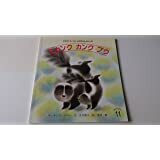 5つ星のうち5.0Essential reading for parents, students, and grads. And everyone else. This book describes the reality of higher education and major changes taking place in labor markets. The gist is that college has been over-sold as path to a good job and secure income. Work ethic and social skills are important; academic knowledge is not. One implication is that the online degrees, which supply academic knowledge outside of a social setting where social skills can develop, are exactly the opposite of what one needs. The conclusions seem to be 1) get the least expensive degree from a normal, reputable university where you can have the standard, social college experience; 2) in college, focus on mental development and learning how to learn -- for example, liberal arts -- instead of the job-specific degrees, which supply knowledge that is not relevant or won't last; 3) prioritize work experience and other non-academic experience over studying and grades, unless you aim for professional grad school (med, law, etc); and 4) after you graduate, expect to change jobs and careers throughout your working life, and be prepared to re-train yourself to get new knowledge and experience. The last point applies to everyone, and puts us all in the same boat with the workers in old industrial areas who have lost their jobs and careers as industries have changed or jobs have been exported. In the future (and even the present), everyone, including the highly educated, needs to expect and prepare to lose jobs, re-train, and find new jobs. The cost of college has been a point of debate for a couple of decades. It is true that tuition at colleges have increased significantly over the past twenty or thirty years. Though some are worried, the response has been the same: college is worth the investment. The narrative is part of American culture: you finish high school, you go to college, you work hard, and you leave college with great job opportunities ahead of you. Well, things are not as clear as they used to be. The great recession combined with increased globalization and rising costs, the idea that a college degree is a solid investment has become shaky. The not-so-simple answer: Yes, but it’s difficult to understand. When you look at all the measurements, many which are presented in Will College Pay Off?, there is no clear cut answer. Let’s look at the job market. You can go online right now and search for the hottest majors in the United States. These lists can guide you to the most profitable careers right now. But what about in four years? Or five years (which is more common for college student)? Employers will always grumble and complain about the scarcity of a qualified work force, but even they lack the foresight to know what the future holds. If employers knew the future, then they manage their own educational programs – except for the fact that it is too expensive for them too run. Furthermore, there is little correlation between grades and performance, so why would a company do the work to train you. In fact, many companies (especially banks and investing firms) will not hire college grads until they have worked for a rival company for a couple of years. This way the rival company does all the training. This, of course, leads to the problem of entry level workers trying to find years of experience. Though this is a solid work, I have read better works on the issue of higher education costs. The author skillfully expands on solid arguments for and against colleges. I definitely liked the book, it just doesn’t sit on the top of my list of recommended readings. Anyone with children preparing for college or even in college would benefit from reading this book. Cappelli provides a clear assessment of the financial benefits and burdens of college. Students would do well to read the section on financial aid, which breaks down the different types of aid and lays out the financial and legal issues for student debtors. I found Cappelli's discussion of the STEM issue particularly interesting. Naively, I assumed that all students majoring in a STEM subject would be well-positioned for employment after college. Cappelli explains why this may not be the case. He also details the financial risk for students who need to spend a fifth year completing their college program. There is so much anxiety and hype wrapped up in finding the "right" college. 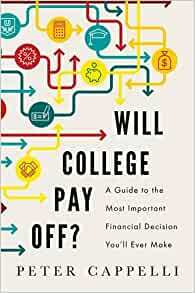 This book is a calming read which should help parents and students to view the college application and financing process in a rational manner. 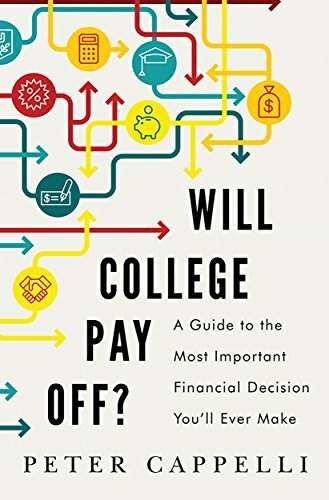 This book is a methodical analysis of how investing in a college education can be harmful or helpful. 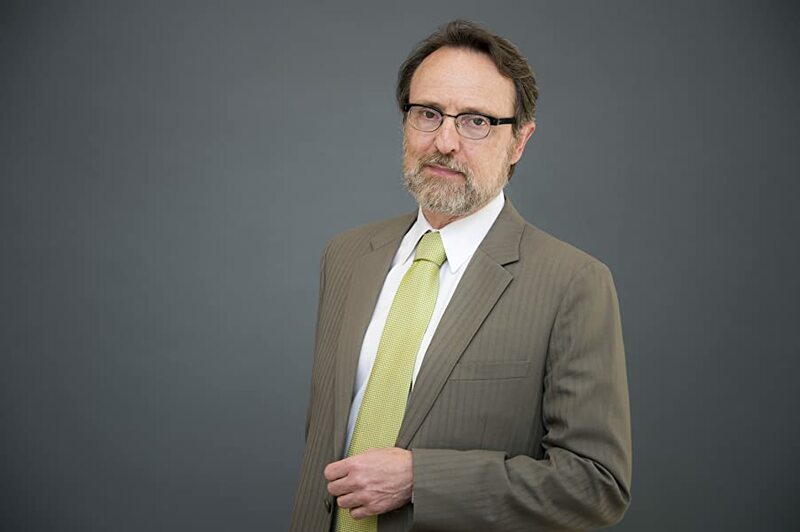 Cappelli's approach was a no-BS investigation of data with reasonable conclusions and recommendations. It was never a question of whether college would pay off for me. But he explains how to avoid causing harm to your education and work career. More importantly, he offers an idea of what will create the most value from education and how to turn that in to a job. He drives home what a new student should do while in and after school to ensure a college degree is a pathway to the life you want. On that note he also tells you what benefits to expect from various credentials. The book was sometimes very dry and I had to push through to finish. But I really value what I learned from it. Recommended for every college student or parent.